Tom Bissell is a Renaissance Man for our out-of-joint time. In addition to being a versatile and exuberant writer, a restless if ennui-ridden globetrotter, and a dedicated chewer of tobacco and smoker of pot, he is a prodigiously gifted slayer of zombies and other digitized demons. 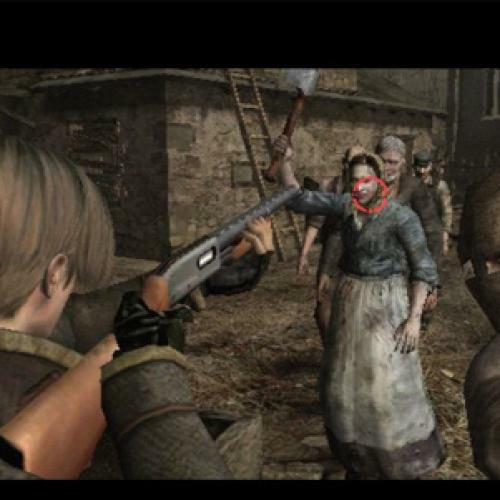 A few pages into Extra Lives, his chronicle of a decade spent in the thrall of blood-and-guts video games, Bissell describes a fight he waged, in the guise of a perky, beret-wearing avatar named Jill, against a particularly resilient breed of undead in the early PlayStation classic, Resident Evil. The scene opens with Jill wandering through the dining room of a spookily quiet mansion. After inspecting an ominous puddle of crimson fluid, she enters a hallway and quickly finds herself cheek-to-jowl with a zombie of bottomless appetite. A “chewy struggle” ensues, which Jill survives only through some expert and gruesome knife work. Extra Lives is at its best in moments like these, when Bissell is actually playing the games that he reports on. His descriptions of simulated gore and mayhem manage to be clinical, gripping, and hilarious all at once. He transmits to the reader the primitive, visceral excitements that make video games so enticing, even addictive, to their legions of devotees. One can almost understand why an intelligent, cultured man such as Bissell has been driven to dedicate large chunks of his adult life to bouts of gaming. Though they often have the feel of homework assignments written by a clever, slightly bored student, the journalistic sections of Bissell’s book are illuminating and at times fascinating. They allow Bissell to explore the challenges that game designers face as they struggle to expand the boundaries of their craft. Videogames have become much more sophisticated in recent years—the spectacles they present are often tinged with moral ambiguity—but they continue to be plagued by what Bissell, in describing the Resident Evil series, calls “phenomenal stupidity.” Their very form frustrates the ambitions of their creators. The compromise in agency that lies at the heart of all games—control over the experience shifts clumsily between maker and player—makes it difficult, perhaps impossible, for games to achieve the subtle and surprising emotional resonance that characterizes the finest works of art. Because games by definition have to be played, they can never be experienced with the combination of immersion and detachment, the repose that characterizes the reader of a novel, the viewer of a painting, or the auditor of music. Whatever their artistic talents and pretensions, game designers may in the end be fated to be toolmakers, creators of marvelous contraptions of intense but only passing interest. As Bissell’s account makes clear, even the very best modern games—those with exquisite animation, smart writing, intriguing characters, and fresh story lines—have not been able to transcend their gameyness. In his concluding chapter, Bissell turns his attention to one of the most loved and loathed of modern videogame franchises: the sprawling, nihilistic underworld adventure Grand Theft Auto. It is also here, in the waning pages of the book, that the author makes a personal confession which ends up casting a weird backlight over his entire enterprise. It turns out that, at the height of his passion for videogames, when he was often playing Grand Theft Auto IV around the clock, Bissell was also snorting septum-dissolving quantities of cocaine. At one point, he finds himself handing wads of cash to a Russian dealer in an alleyway in Tallinn, Estonia. “Soon,” he recalls, “I was sleeping in my clothes. Soon my hair was stiff and fragrantly unclean.” It’s as if the demi-monde of Grand Theft Auto has begun to leak into Bissell’s own existence. Or maybe it’s the other way around. Whose demons, the reader begins to wonder, has this gamer been slaying? The question, alas, goes largely unanswered. “Video games and cocaine,” Bissell acknowledges, “feed on my impulsiveness, reinforce my love of solitude, and make me feel good and bad in equal measure.” But that is as far as he goes in plumbing the meaning of his twin vices. The reader is left holding an enigma. In the closing pages of Extra Lives, we see, if only faintly, the glimmerings of a deeper book, one that might have dissected the strange species of hopped-up man-boy whose compulsions find both their spur and their outlet in the hyperactive cartoon worlds rendered in meticulous detail on high-definition screens. But while Bissell may be fearless in fighting zombies, when it comes to exploring the murky and still unmapped territory of the adult gamer’s soul, he loses his nerve. He stays in the safe house.